"Future storytelling belongs to people who work with computer languages as fluidly as they work with spoken ones." You learn a lot about yourself when you do something new, and sometimes it’s not quite what you want to learn. Back in 2011, I stepped away from fiction, frustrated at going over the same old ground creatively and professionally and unable to start a new project without obsessing over who might publish it. I’d put the cart of my career before the horse of my art, and I stalled out. I felt like a rickety snowblower trying to chew its way through half-frozen slush. So I followed Italo Calvino’s advice and took up something different, throwing myself into invented form prose poetry and unchaining my horse from its troublesome cart. The resulting book, Thirty-One Octets, pleased me greatly but didn’t lead to the next project; it was a dead end, a one-off. I needed to alternate again, to follow Calvino once more, but I couldn’t quite cycle back to fiction because my cart and my horse hadn’t changed positions yet. Then I went to an Electronic Literature Organization conference looking to shake my tree, and wow, did I get what I wished for. I disappeared down the rabbit hole of interactivity, soaking up concepts about polylinear narrative, computational dialogue generation, and story systems managed by biofeedback. I got in on a software system called Scalar out of the University of Southern California that was then in beta testing and used it to create a sprawling nest of intertwined stories about fatherhood and sonhood, daddylabyrinth. I picked up some video database software out of Berlin called Korsakow and made an interactive video, Talk with Your Hands Like an Ellis Island Mutt, about being a second-generation American. With those two projects, I got to see the world with my work—Singapore, Hong Kong, Norway, England—and I felt Calvino would have been proud of me for living his maxim. Hardly anybody saw my work who wasn’t making similarly interactive stuff, but it didn’t matter. We were in it for the rush of new tools, new forms, new artistic moves that we hadn’t known existed until we made them. Then I found an opportunity to write an interactive novel with Choice of Games, arguably the world’s leader in choice-based narratives (though a couple of companies in Asia might argue with me on that). Their coding language allows their games to track each individual player’s choices during play to create unique narrative experiences based on reader decision. (Player, reader, user—such terms are interchangeable in this context, as are interactive novel and game.) Different options within the storyworld open or close depending on your choices, to the point where it would be almost impossible to play through a full-scale interactive novel the same way twice. I thought I’d hit the jackpot by finding a way back into fiction that also satisfied the experimentalist in me. I came up with half a dozen stories to pitch before settling on a literary dating sim set in my former hometown of Boulder, Colorado, which I miss every day of my life. Thus started the project that would eventually become the interactive romance novel Love at Elevation. The self who wanted to write “as if I had never written anything before” was ecstatic at this opportunity. But then I ran into two walls at once: my own limitations and the deep differences between interactive and traditional fiction writing. When I talk with strictly “analog” fiction writers about interactive work, their clearest frame of reference is usually Choose Your Own Adventure books, which had their heyday in the 80s and 90s. Their branching narratives offer multiple endings, all based on reader choice. But these branches are static; they can’t do what games do, which is to track every one of your decisions and use that information to shape the narrative. In a dynamic game system, the choices you make adjust your statistics, which in turn determine future choices available to you—as well as your failure or success at things you try to do within the storyworld. Think of stats like character traits—they both affect and are affected by our experiences, shaping how we navigate the world and simultaneously being shaped by our experiences in the world. Here we have the concept of Choose Your Own Adventure, but on steroids. 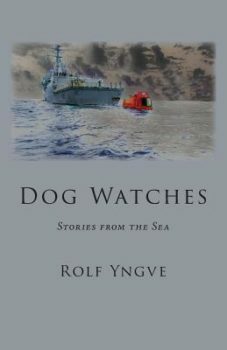 The writer is no longer working with a single narrative line, but with a narrative environment in which multiple possible stories can unfold. The reader is a full participant in the creation of the narrative. In this scenario, writers need to account not only for multiple potential storylines, but for stat assignments on every single choice. It’s daunting, but it opens up the way we tell stories. Imagine two thousand people reading your interactive novel and each having completely unique story experiences. 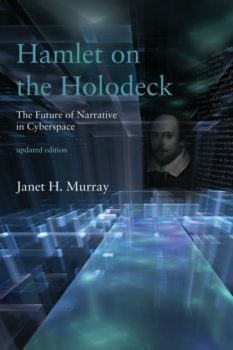 To me it sounded like the future—a step closer to the immersive, interactive world suggested by Janet Murray in Hamlet on the Holodeck: The Future of Narrative in Cyberspace—and I, as a writer who believes in exploring new storytelling tools, wanted a piece of it. But the future isn’t easy. Writing with the intention of enabling multiple storylines for the same characters changes your approach because it encourages—in fact nearly requires—that they be flat and non-particular in order to allow for that range of narratives. If I have to create an NPC character who will just as easily open a door for you as slam it in your face, depending on the stats your previous choices have earned you, then there’s very little I can do to make that person specific. In the case of Love at Elevation, I couldn’t even give my characters genders because those depended on player choice. Likewise, specifying unique facial expressions or body language created an authorial bottleneck in which I needed to write multiple versions of the same scene to accommodate nuanced behavior differences. I wrote one individual scene thirty-six different ways, and could have done more had I not drawn the line. Such is the difficulty of flatness. If your characters have to be all things to all people in order to facilitate multiple unique story experiences for the player, it’s hard for them to simply be them. This is why procedural generation in gaming, which engages computers themselves to figure out alternative possibilities, is so hot right now. Whereas, it might take a human being a weekend’s work to crank out thirty-six possibilities for a scene (trust me), a well-trained computer could do it in the blink of an eye. And I found the authorial burden of creating so many alternatives to accommodate player choice stultifying, leaving me feeling surrounded by flat characters who—precisely because of their flatness—couldn’t contribute meaningfully to a narrative landscape. Further, because they needed to have so many different agendas to account for multiple player proclivities, they often ended up with no real agenda at all. At the worst points, my characters felt like furniture designed to be moved around in various configurations so that my unseen co-author (i.e., the interactive novel’s reader/player) would feel the agency of choice. This situation has particularly strong consequences when the character in question is your protagonist. Coming to interactive fiction from its analog counterpart, I was used to having protagonists’ decisions narrow their world and define them ever more sharply. 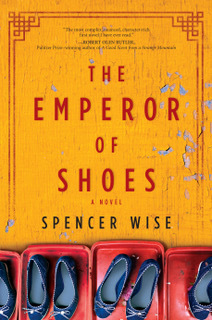 Over the course of an analog novel, a protagonist who may at the outset become many things ends up be being just one. The word decide derives from the Latin for “cut off,” and it implies that a protagonist’s choices will sharpen their identities and their roles in their world. 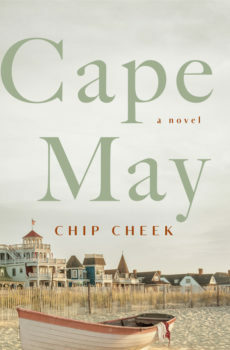 This grand novelistic arc—the time-tested mechanism of empathy and catharsis that allows us to identify with protagonists and remember them decades after we’ve read the books woven around them—is the quintessence of the novel form. But narrative decisiveness becomes more difficult in an interactive novel when the protagonist you establish at the beginning can become a dozen different people by the end. So even leaving aside the difficulties of coding—the fact that a single error in the equivalent of a 1200-page manuscript could cause the game to not work at all—the interactive novel left me feeling ambiguous about the nature of choice-based authorship. 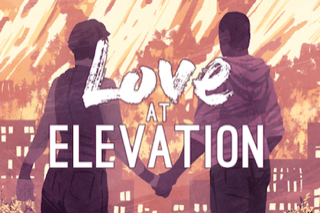 Over the twenty-plus months of primary writing on Love at Elevation, I increasingly missed the kinds of characters who didn’t have to be all things to all people in order to be something for someone, but could merely be themselves for themselves. I wanted to work with flawed protagonists, ones with specific identities, and I wanted to bring them together with flawed secondary characters who had their own individualized agendas. What would happen then? I wanted to know for myself. I wanted to explore specific questions, given flesh by specific characters in specific settings with specific problems. So during some down time on the interactive novel, I picked up an analog one I’d set aside years early. I threw myself back into it, hungry for the specificity of the traditional novelistic arc. I wanted to explore and reveal the unique aspects of my characters, the things that made them singular people. In short, I wanted the traditional novel and all it offered me, and once I allowed myself to drink from that well again, I wasn’t thirsty for anything else. I wanted characters who could make a single error in judgment that they carried with them for the rest of their lives—with no hope of another life in replay. Characters with specific genders, proclivities, peculiarities, humors, and rages, who would allow me to follow their decisions to their inexorable end. My transition back to traditional fiction was gradual but decisive. In doing so, I’m losing something, I’m sure—my participation in the future possibilities of narrative, among other things—but I’m gaining back my control of the novelistic arc. Italo Calvino may be disappointed in me for not pushing forward with interactivity, but if you feel you can’t pull off a project, you’re surely not going to do it justice. It saddens me because I had so many interactive story ideas, all patiently waiting for my understanding of computation to catch up. Narrative environments in which your brainwaves—harvested by an Emotiv headset—determine how you navigate the choices, or in which your answers to a personality test tell a computer how to navigate the storyworld for you. These kinds of projects, which could have kept me on Calvino’s path for as long as I live, now feel closed off to me. Yes, collaboration is possible; but the people who truly understand the tools of interactive storytelling generally have their own stories to tell. There are days I feel I’ve missed my calling and should have worked harder to understand computation, climbing up to the point where the narrative control I love in the analog novel is possible, but I can’t see my way there through the maze of code. Future storytelling belongs to people who work with computer languages as fluidly as they work with spoken ones, not to someone like me who comes to the party with insufficient tools. I believe that people will “crack the code” of interactive fiction and find a way to offer both the choice-driven individuation that games offer and the narrative authority of the traditional novel, but I won’t be the one. It has been a humbling experience to realize this personal limitation. Having spent my entire life as writer in search of creative doors that were barely wide enough for me to slip through, the thud of a door closing feels a bit like a prison sentence or a declaration of exile. 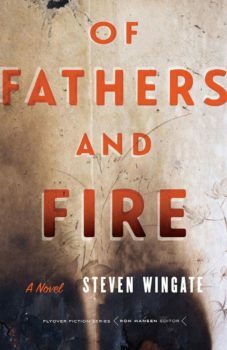 Fiction has pulled me back in, and the manuscript I polished off to give myself a break from writing code is about to become my first novel, Of Fathers and Fire (University of Nebraska Press – Flyover Fiction Series). Lately I haven’t been feeling the pull of other genres—no interactive projects, no invented forms, nothing at all. Now that I’ve tasted the long form, all I want is more novels. Was my genre-hopping and genre-bending simply the product of a younger, less decisive mind? Or is this lack of desire to experiment with new tools and forms the unintended consequence of getting my cart and horse lined up at last? These are questions I can’t answer, so I must live for now in the anxious space between one door thudding shut and another creaking open. The next reinvention may already be on its way, waiting in a place I can’t see. Or the next reinvention may have already happened: a transformation into a writer who doesn’t reinvent himself, either because he’s found a path he can stick to or because a certain part of his imagination has reached the end of its leash and expired. Which is it? Too soon to tell.